Our new ISAF World Ranking: 25th! We moved up 5 places but we have no plans to stop moving up any time soon. 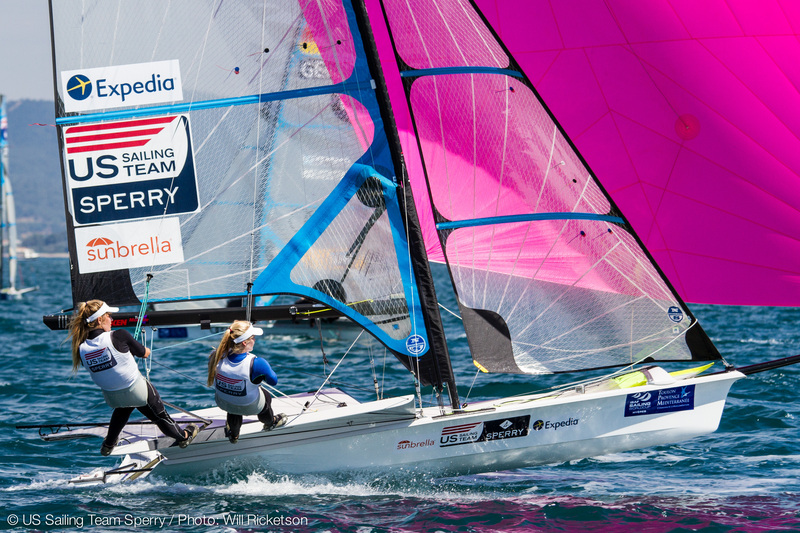 Given that we finished 14th and 17th in Palma and Hyères, respectively, we expect to keep climbing! 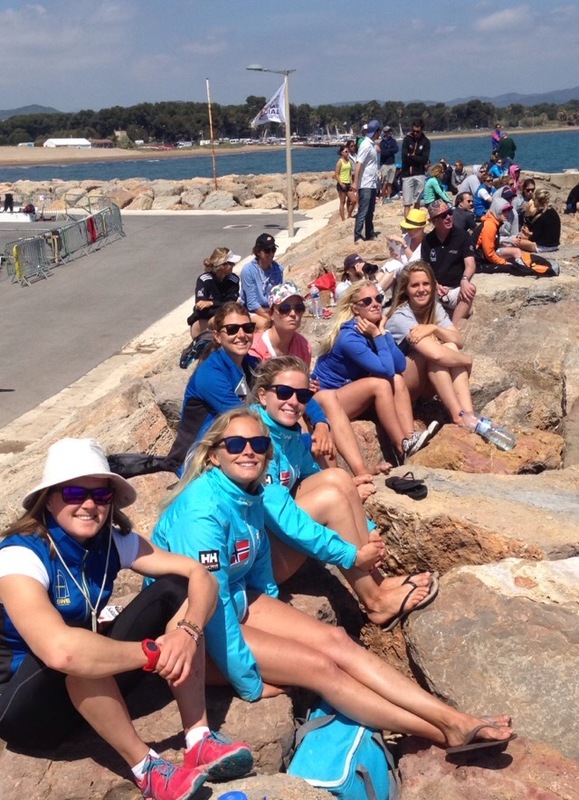 After a ferry and a drive straight from Palma to Hyeres, we fell back into our training rhythm but also took some well-deserved breaks. We met an American wheelchair basketball player at the gym in Hyères and were able to attend his game, the national quarterfinal, down the street! 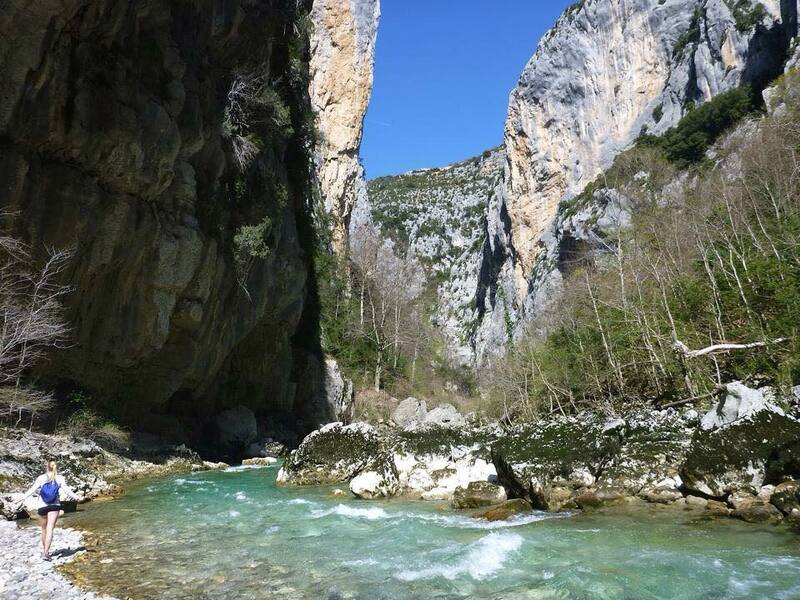 On one afternoon we walked and swam along the beach in St. Tropez and the next day we hiked for about 5 hours in the Verdon Gorge. 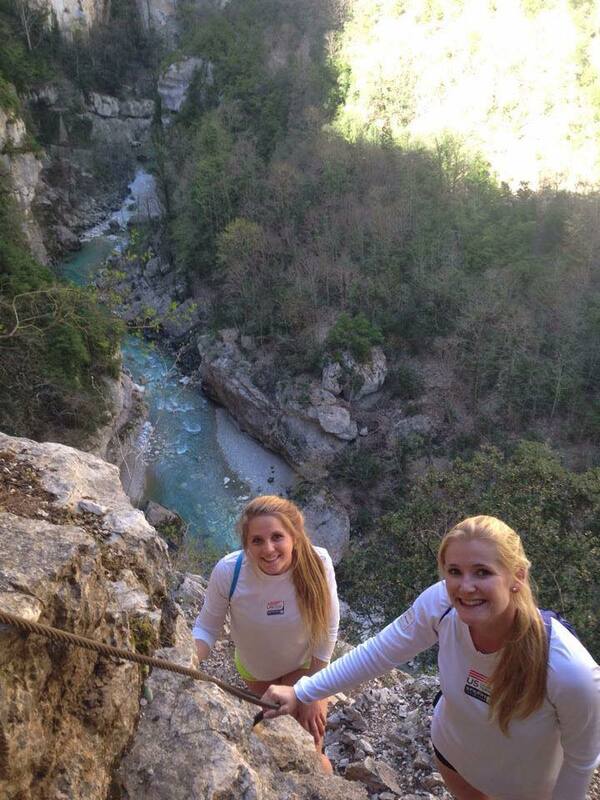 We agreed that this is probably the coolest and most spectacular hike of our lives so far! Sailing World Cup Hyères was the first time using the ‘new’ World Cup format, consisting of the world’s best 40 boats. 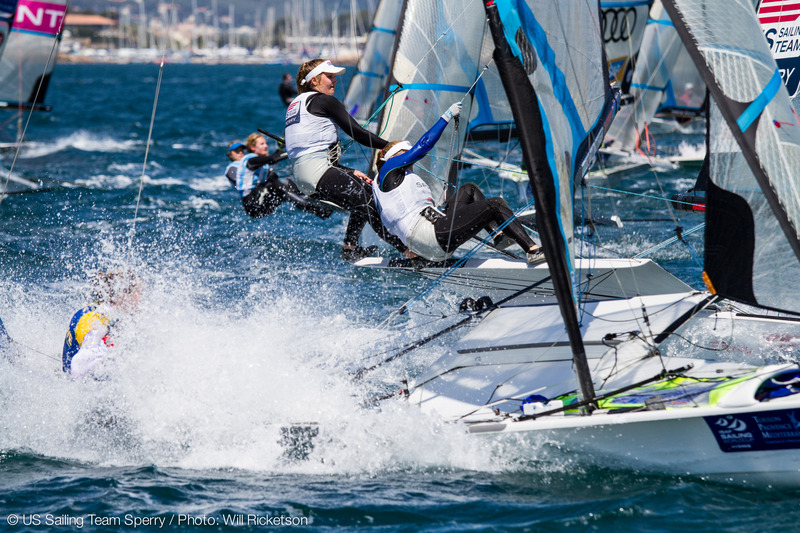 Thirty qualified from their ISAF Rankings, including us, and ten teams qualified from their result at the Trofeo Princesa Sofia last month in Palma, Mallorca. With a fleet so competitive and so many boats on the course at once (we usually race in fleets of 25-30 boats), going into the event we knew that consistency would be king. Any race in the top ten would be a ‘keeper,’ meanwhile one bad mistake could add 30+ points to your score and drop you dramatically. After coming off of our best international event result ever in Palma, we were eager to match that and improve. We didn’t start the regatta how we wanted to, but we had the tenacity to climb our way up the results throughout the event. Overall in 12 races we had 2 races in the top 5 and three more races in the top 10 – Results here. The first day was rough but we ended with a top 10 finish, the second day was solid and consistent, the third day was dismal (really light wind) and we couldn’t find our pace, and the fourth day started below average but we reclaimed the day with two excellent races, a 4th and a 2nd. We finished the regatta in 17th, with just a few points to 16th but a much larger point buffer between us and 18th. 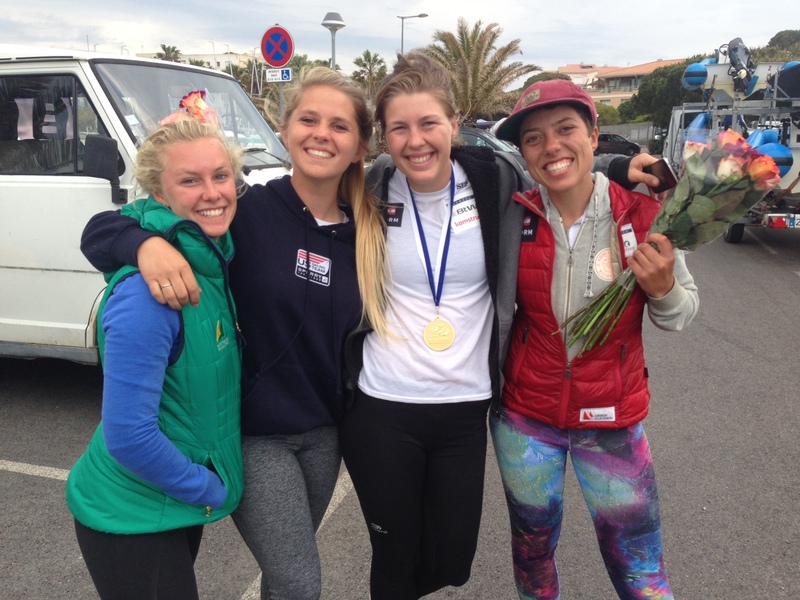 We’re really proud that at the bittersweet end of a two-month trip in Europe, at the second of two regattas and on the fourth and final day of racing, and after two prior races that day, we were able to finish strong with our best races of the regatta! This shows our physical and mental endurance, as well as a good big-picture plan: we weren’t burnt out and we were still able to focus and improve throughout each day. After the event we drove alllll day up to Amsterdam to leave the car and trailer. We are enjoying a few days at home before heading to the US Olympic Training Center in Chula Vista, CA and then onward to Denmark. We’ll train in Glyngøre, Denmark with the Danish FX squad for a week, which includes the winners of both regattas in Palma and Hyeres! Then we’ll sail the Delta Lloyd regatta in the Netherlands before heading to Weymouth, UK for the third Sailing World Cup of the year. We are sailing in a lot of events because we feel that we need as much racing experience, namely strategic and tactical situations, as possible. Giving back along the way is really important to us. 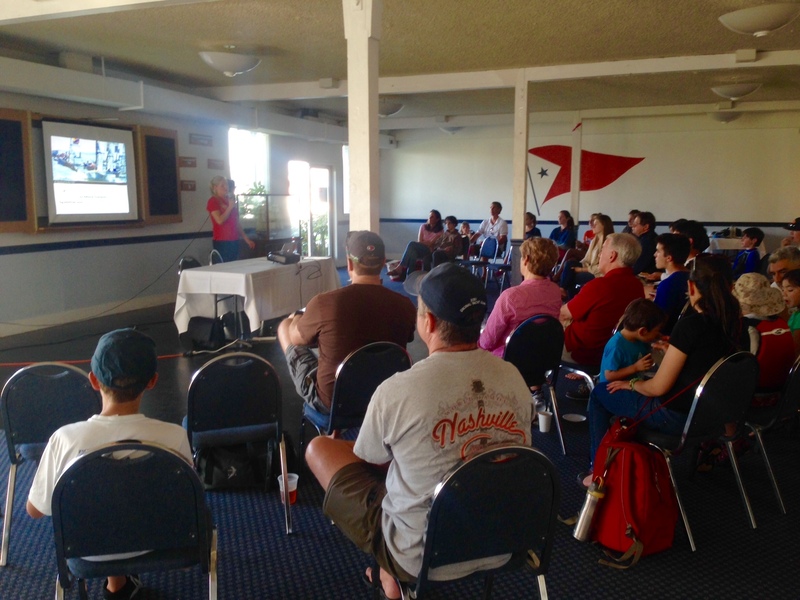 Helena spoke to the junior sailors and their parents at Encinal Yacht Club in Alameda, CA on Thursday (the day after flying back from Europe!). 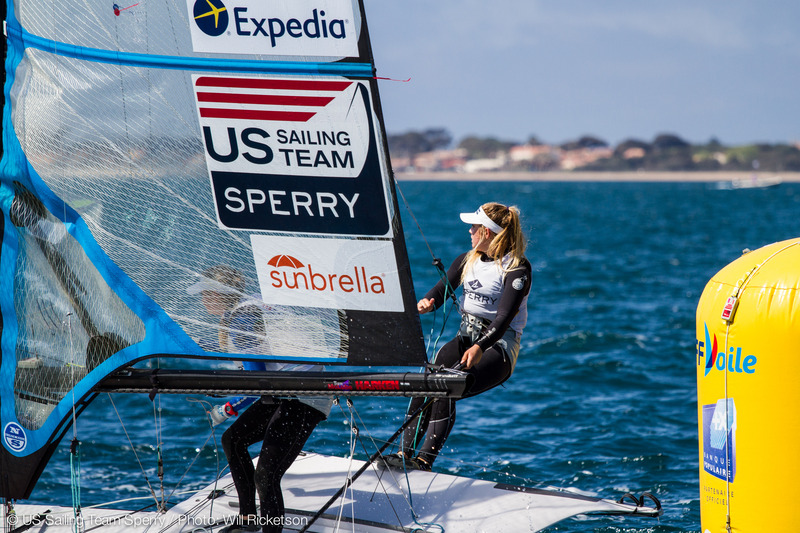 She hopped in their C420s during practice and then presented her journey in sailing so far and discussed the importance of resilience, sportsmanship, working closely with a teammate, and balancing sailing with school with the next generation of US sailors. 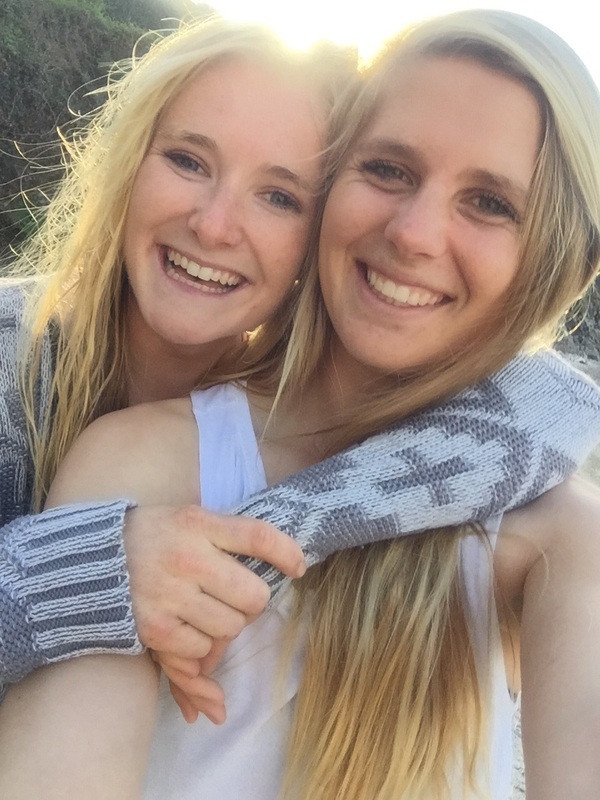 Donate today so we can continue building momentum towards the 2016 Olympic Games! 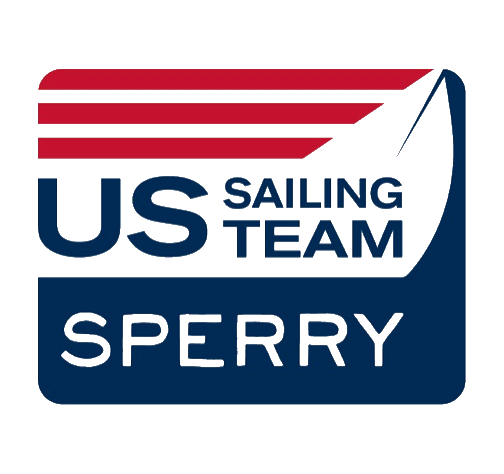 We would like to thank our sponsors and supporters: US Sailing Team Sperry, individual contributors, Expedia, the St Francis Sailing Foundation, and our title sponsor Sperry. Great roundup. Must get to that gorge one day – it looks… gorgeous. (Sorry.) Enjoy ticking off more countries on your world sailing map, and well done for such strong results.